A little summary of the apes' invasion in Rimini, for the amazing EuroPython conference. Including slides, videos of the talk, general thoughts, sprint sessions and thanks to all the amazing people that were there. I was very happy to be able to present Bonobo ETL in Rimini last summer. You can watch the talk on youtube, and don't forget to share it with your friends (at least, the crazy ones who wrangle data before breakfast). My slides are also available on slideshare. I'd really like to thank all people who gave me feedback, thoughts, ideas, pointers, which is really something you need when starting this kind of open source project. Last bu not least, I'd like to thank the participants of the sprint, despite the fact that sun an beach must have been a really tempting escape for this week end. So thank you @Parthiv20, @alekzvik, @alexmach77, @vit-, @carloca and @faic, you're the stars here! Now, I have this huge list of things and ideas for Bonobo, and I need to get back to work! See you next year Europython and Europythonistas! Bonobo is a line-by-line data-processing toolkit (also called an ETL framework, for extract, transform, load) for python 3.5+ emphasizing simplicity and atomicity of data transformations using a simple directed graph of callable or iterable objects. You can use the command line tool to easily convert things from various data sources and formats (for example, it can read from HTTP REST/SOAP APIs, local or networked filesystems and storage services, SQL and NoSQL databases, and it can read and write in a variety of formats like CSV, JSON, XML, Excel, Pickle ...). 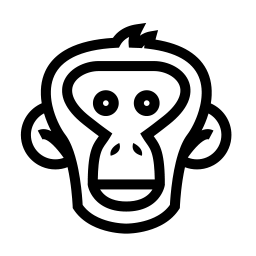 Bonobo is an open-source software, provided without any guarantee. All code and surrounding material, including the website, is provided as-is, and we apologize for any errors that tricked our vigilance.